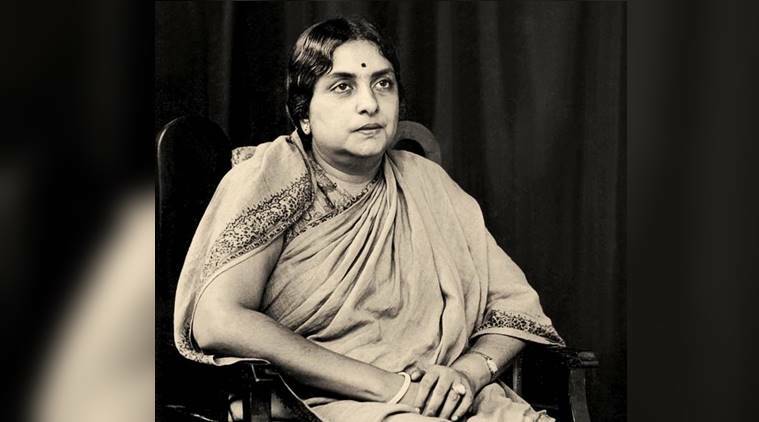 Photograph of Kamaladevi Chattopadhyay. Source: Delhi Crafts Council. From artist Shebani Rao's "Kamaladevi Comic." See more. Kamaladevi Chattopadyay was not alone in forging such solidarities. 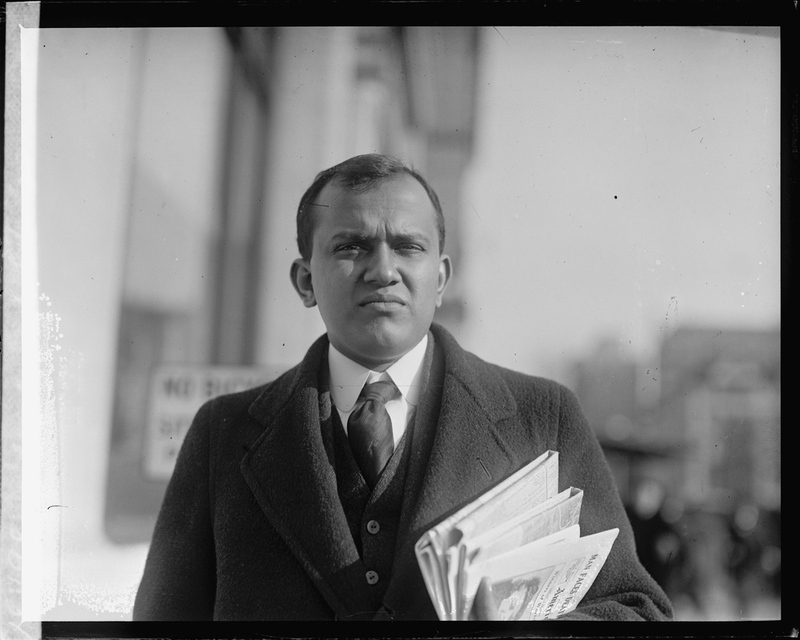 The prominent Indian American leader, Jagjit (J.J.) Singh became friends with the executive director of the NAACP, Walter White, and collaborated with White to oppose racism within the United States and abroad. Such solidarities extended into the civil rights movement. On May 27, 1964, Rammanohar Lohia, a member of the Indian Parliament, was turned away from Morrison’s Cafeteria, a “whites only” establishment in Jackson, Mississippi. The following day, dressed entirely in white, Lohia returned to Morrison’s. The manager told him to leave. Lohia replied, “I tell you with greatest humility, I am not leaving.” By forcing the police to arrest him, Lohia turned what had been a local story into a global scandal. The State Department sent a formal apology to the Indian Ambassador. The American Ambassador to the United Nations, Adlai Stevenson, offered his apologies. Lohia replied that the State Department “may go to hell” and added that Stevenson should apologize to the Statue of Liberty. Das’s speech took place at the national convention of the Friends of Freedom for India, a remarkable organization he cofounded in 1918 and that championed India’s freedom, along with the rights of Indian Americans. The history of the FFI offers a unique perspective on the career of Kamala Harris. Understanding this history—and its relevance to Kamala Harris—requires first discussing the three committed activists who founded the organization: Taraknath Das, Sailendranath Ghose, and Agnes Smedley. A Bengali scholar and revolutionary, Das fled India in 1905 to avoid imprisonment. 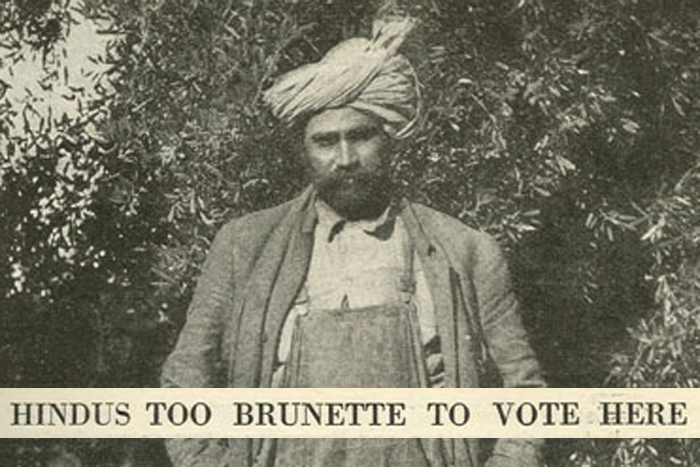 After arriving in Seattle in the summer of 1906, he became the first Indian migrant to claim political asylum in the United States. He was 22 years old. To earn a living, Das picked celery and worked in a chemistry lab at Berkeley before landing a job as an interpreter for the American immigration service in Vancouver. In 1908, he began publishing a bi-monthly journal called Free Hindusthan. After the British government complained, American authorities offered Das a choice: stop publishing the paper or he would be fired from his position as an interpreter. He quit, and began traveling up and down the West Coast, urging his countrymen to rebel against British rule. Das alarmed British authorities by enrolling at a military academy in Vermont and encouraging other Indians to seek military training. After pressure from British officials and American military intelligence, the academy expelled the Bengali radical, ostensibly for making speeches against British rule. But despite British opposition, Das managed to gain American citizenship in June 1914. Photograph of Sailendranath Ghose in 1922. Source: Library of Congress. You liberals and radicals of America, what are you doing about the Indian revolution? Where is your voice? Where, indeed, has been your voice while Hindu revolutionaries in your country have been sentenced to prison because they have tried to free their country from a foreign and autocratic rule? 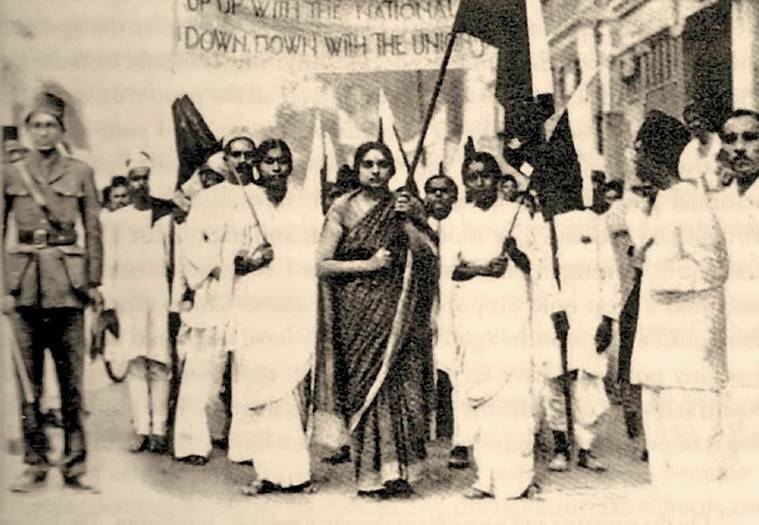 Photograph of Kamaladevi Chattopadhyay and protesters. Source: Delhi Crafts Council. The political nature of immigration leads to the second key lesson offered by the history of the FFI: that to resist nativist xenophobia requires building coalitions that cut across the social and political spectrum. Some of the Americans who supported the FFI were radicals like Agnes Smedley who envisioned a world beyond borders. Others were cautious liberals, eager to reform the system rather than to replace it. The FFI found success by working across such divisions. Coalitions are not easy to build or to sustain. But the more egregious the injustice, the easier it becomes to rally a range of actors in opposition. Perhaps that is the most important lesson of the FFI—that we must seize this moment as an opportunity to build solidarities across borders of many kinds. Will Kamala Harris campaign for that kind of border crossing? Will she be able to bridge the divide between the progressive left and the political center? Those troubled by some of the decisions she made as a prosecutor and by her cautious centrism will demand evidence that she is willing to take risks to stand up for real justice. More than her racial heritage, her words and actions will determine the degree to which Harris can build on the long history of South Asian Americans who fought for a country in which everyone could vote, gain citizenship, or perhaps even become president. 1. Ryan Cooper, “Why leftists don't trust Kamala Harris, Cory Booker, and Deval Patrick,” August 3, 2017. 2. Kevin Sullivan, “‘I am who I am’: Kamala Harris, daughter of Indian and Jamaican immigrants, defines herself simply as ‘American,’” The Washington Post, February 2, 2019; Katie Glueck, “Inside Kamala Harris’s relationship with an Indian-American community eager to claim her,” December 19, 2018. 3. Nico Slate, Colored Cosmopolitanism: The Shared Struggle for Freedom in the United States and India (Harvard University Press, 2012); also see Anjal Chande's "Out of the Shadows, A Colored Solidarity." 5. Michelle Alexander, The New Jim Crow: Mass Incarceration in the Age of Colorblindness (New York: New Press, 2012); Branko Marcetic, “The Two Faces of Kamala Harris,” Jacobin; Lara Bazelon, “Kamala Harris Was Not a ‘Progressive Prosecutor,’” The New York Times, January 17, 2019. 6. Seema Sohi, Echoes of Mutiny: Race, Surveillance, and Indian Anticolonialism in North America (Oxford: Oxford University Press, 2014); Doug Coulson, Race, Nation, and Refuge: The Rhetoric of Race in Asian American Citizenship Cases (SUNY Press, 2017). 7. “International Aspects of the Indian Question,” The Independent Hindustan 1, no. 6 (February 1921), 130-131, available via SAADA. 8. Sailendranath Ghose, “India’s Challenge to American Radicals,” Young Democracy (June 1, 1919), available via SAADA. 9. Janice R. MacKinnon and Stephen R. MacKinnon, Agnes Smedley: The Life and Times of an American Radical (Berkeley: University of California Press, 1988); Ruth Price, The Lives of Agnes Smedley (Oxford: Oxford University Press, 2005). 10. “National Convention of the Friends of Freedom for India,” Independent Hindustan 1, no. 5 (January 1921): 113-115, available via SAADA. 11. Basanta Koomar Roy, “Doing England’s Dirty Work,” Independent Hindustan 1, no. 2 (October 1920), 27, 29, 39, available via SAADA. 12. Mae Ngai, Impossible Subjects: Illegal Aliens and the Making of Modern America (Princeton: Princeton University Press, 2004). Nico Slate is a Professor of History and Director of Graduate Studies at Carnegie Mellon University. His research and teaching focus on the history of social movements in the United States and India. Slate is the author of Lord Cornwallis Is Dead: The Struggle for Democracy in the United States and India (Harvard University Press, 2019) and Gandhi’s Search for the Perfect Diet: Eating with the World in Mind (The University of Washington Press, 2019). Portions of this essay are taken from Lord Cornwallis Is Dead.